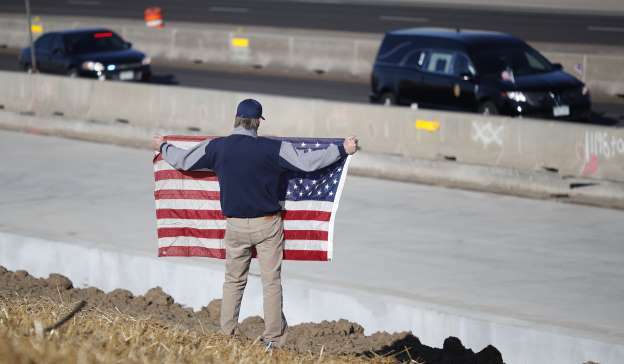 David Morgan of Highlands Ranch, Colo., holds an American flag as a procession of law enforcement vehicles accompany a hearse carrying the body of a sheriff's deputy shot and killed while responding to a domestic disturbance Sunday, Dec. 31, 2017, in Highlands Ranch, Colo.
DENVER (AP) — A man fired more than 100 rounds at sheriff's deputies in Colorado early Sunday, killing one and injuring four others, before being fatally shot himself in what authorities called an ambush. Two civilians were also injured. Douglas County Sheriff Tony Spurlock (left) said deputies came under fire almost immediately after entering a suburban Denver apartment and trying to talk with the suspect, who was holed up inside a bedroom. "I do know that all of them were shot very, very quickly. They all went down almost within seconds of each other, so it was more of an ambush-type of attack on our officers," Spurlock said. "He knew we were coming and we obviously let him know that we were there." The wounded deputies tried to pull the fallen officer, identified as Zackari Parrish, out of the line of further gunfire but were unable to because of their own injuries and only managed to "crawl to safety," Spurlock said. The incident occurred around 5:15 a.m. at Copper Canyon Apartments, a landscaped apartment complex in Highland Ranch, 16 miles (28 kilometers) south of Denver. Authorities had left the home about four hours earlier to address a noise complaint but returned in response to reports of a disturbance at the home. There were two men inside the home when deputies arrived and someone let them inside, Spurlock said. The disturbance was initially reported to be domestic but turned out to be noise-related, he said. "The suspect was just making a ton of noise and annoying everyone around him," Spurlock said. 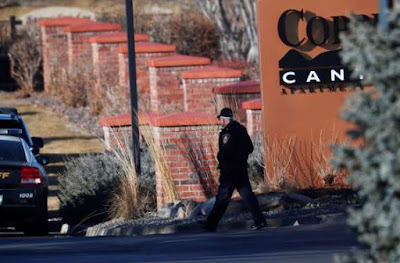 Resident Steven Silknitter, 50, told The Denver Post that he heard 15 to 20 shots. "It was back and forth — unbelievable," said Silknitter, who lived in the Denver suburb of Aurora during a 2012 movie theater shooting that left 12 dead. "Where do you move to?" he said, shaking his head in exasperation. "It's everywhere." 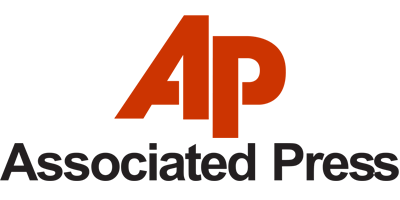 The suspect was well-known to authorities in the Denver area but had no criminal record, said Spurlock, who declined to name him until his identity was confirmed. The sheriff did not release any details about the weapons and ammunition used except to say the suspect had a rifle. He also did not know if law enforcement had any prior knowledge of firearms being in the home but the possibility always weighs on deputies' minds. "We respond to every call anticipating that everyone has a gun. This is Colorado. 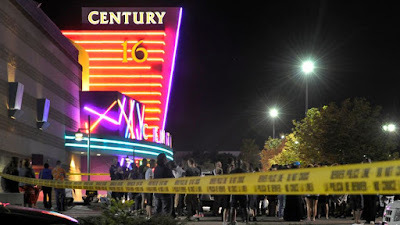 Everybody has a gun," Spurlock said. Parrish, the slain officer (right), was 29 and a married father of two young children. 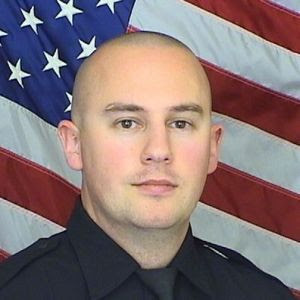 He came to the department seven months ago after working as an officer for the nearby Castle Rock Police Department. Spurlock called him a "good kid" who was eager to work. "His wife told me today that he loved this job more than he had loved any job he ever had," the sheriff said. The three deputies and one police officer injured were listed in stable condition. 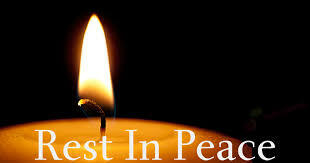 Authorities identified them as deputies Michael Doyle, 28; Taylor Davis, 30; Jeffrey Pelle, 32; and Castle Rock police officer Tom O'Donnell, 41. The two civilian injuries were not life-threatening. 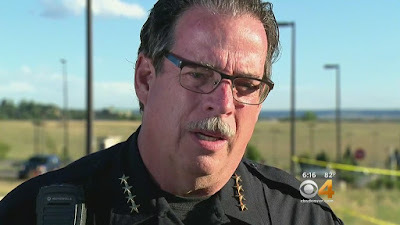 Pelle is the son of Boulder County Sheriff Joe Pelle. The sheriff said his son underwent surgery from injuries suffered in the attack and was recovering. President Donald Trump expressed sorrow, writing on Twitter, "My deepest condolences to the victims of the terrible shooting in Douglas County @dcsheriff, and their families. We love our police and law enforcement - God Bless them all!" The shooting occurred on the final day of a year that saw the deadliest mass shooting in modern U.S. history in Las Vegas. 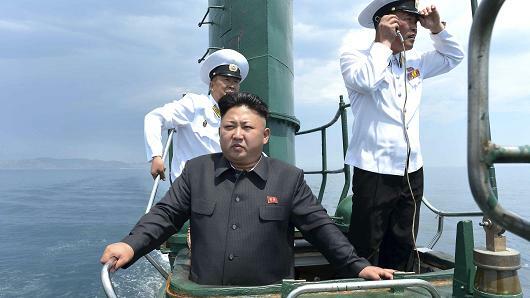 North Korean leader Kim Jong Un (front) stands on the conning tower of a submarine during his inspection of the Korean People's Army (KPA) Naval Unit 167 in this undated photo released by North Korea's Korean Central News Agency (KCNA) in Pyongyang. Second missile test stand for North Korea's submarine-launched ballistic missile development is "almost operational," says think-tank 38 North. Recent satellite imagery appears to show the new test platform for the missiles, which it called "a strong indicator that Pyongyang is advancing." An expert said the nuclear-armed state is working at a feverish pace and could launch a submarine with SLBM capability as early as next year. There are signs that North Korea's submarine missile program is expanding as it prepares its second test, adding to the risk that the nuclear-armed country could one day threaten the U.S. or its Asian allies with yet another powerful weapon in its arsenal. Experts suggest North Korea having fully submersible submarines firing a nuclear ballistic missile pose a dangerous scenario because they could offer the hermit regime a better chance of survival and might be harder to detect. It comes on the heels of North Korea on Tuesday launching a new Hwasong-15 intercontinental ballistic missile, a road-mobile weapon the state-owned KCNA media claimed could carry a "super-large heavy warhead, which is capable of striking the whole mainland of the U.S."
The North Koreans appear to be getting more aggressive on submarine-launched ballistic missile (SLBM) development and now have several shipyards active in the offshore-weapons program. The North is not believed to have the capability today to launch multiple ballistic missiles from a submarine. However, experts say the totalitarian state is working at a feverish pace and could have this submersible as early as next year. 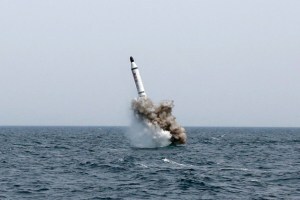 "If North Korea can deploy not only developmentally a submarine-launched ballistic missile that is effective and deploy it on ballistic missile submarines, it certainly complicates defense against missile attacks," defense analyst Joseph S. Bermudez Jr., co-founder and CEO of Colorado-based imagery analysis firm KPA Associates LLC, told CNBC in an interview Friday. In a 38 North blog post Friday, he revealed that "commercial satellite imagery from Nov. 11, 16 and 24 show that North Korea's second submersible ballistic missile test stand barge — a platform that allows for underwater missile launches outside of submarines — located at the Nampo Navy Shipyard is being prepared to enter service." 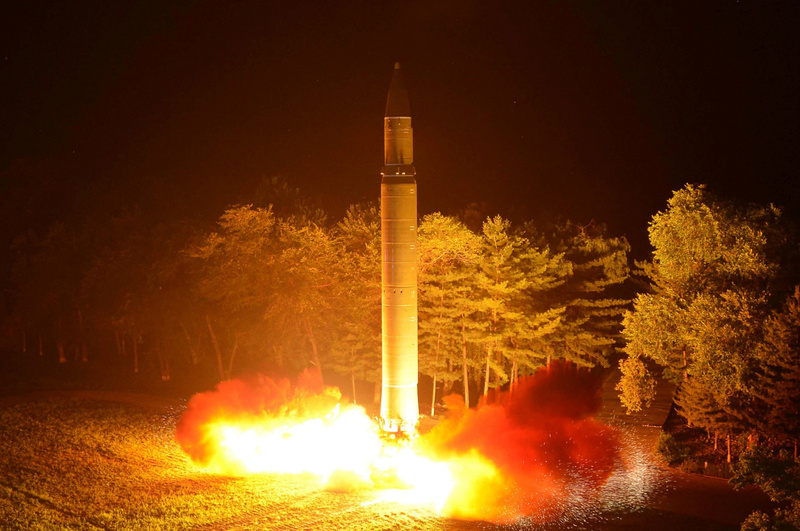 38 North, a project of the U.S.-Korea Institute at Johns Hopkins School of Advanced International Studies, said the "second missile test stand barge [is] almost operational." Bermudez wrote, "Once in service, this barge will help facilitate a broader SLBM testing regime and potentially establish a SLBM capability within the West Sea fleet [of North Korea's navy]." Bermudez, a 38 North contractor, explained that the test stand barge and platform are used to simulate the weapons that would be inside the submarine because it's considered too dangerous and costly to do such early testing inside a real submarine. He also said that the North Koreans know the U.S. military is watching its SLBM and submarine development so they have been doing things to mitigate the satellite surveillance capabilities, including resorting to concealment in some cases. Still, Bermudez called the Nampo shipyard activities on the regime's west coast "a strong indicator that Pyongyang is advancing" in its SLBM program. And he said the North Koreans will need a series of tests from the submersible barge before deploying ballistic missiles on submarines. Last year, North Korea conducted a test of its SLBM technology near its port city of Sinpo and reportedly flew one missile at least 500 kilometers (or about 300 miles), according to South Korea's Yonhap news agency. Sinpo, located on the country's northeast coast, also is where the North reportedly has renovated large buildings that might be involved in the construction of a new SLBM-capable submarine. The Sinpo-class experimental submarine that the North Koreans have today is believed to be up to about 2,000 tons and have a nautical range of about 2,800 kilometers (about 1,500 miles). Yet it features just a single launch tube and Bermudez said "no one considers that an operational capability." According to Bermudez, Pyongyang is apparently building a submarine that will feature multiple tubes for ballistic missiles and greater capability at sea. He estimated the new submarine "could be launched any time next year and going forward." To be clear, though, he said just because the submarine may launch doesn't necessarily mean it's fully operational. The expert explained how it typically takes a year or two after the submarine is launched that it "truly becomes operational" because it will go through a range of sea trials and necessary crew training. Even so, having the submarine-launched ballistic missiles with nuclear capability is potentially a nightmare scenario for South Korea and Japan. That's because the submarines could potentially avoid detection by some of the most advanced defense systems. For example, missiles fired by North Korean submarines off the east coast of Japan could potentially dodge detection from Japan's Patriot anti-missile system by launching from behind radar. 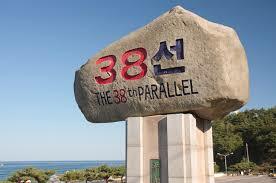 At present, the detection is focused on missiles coming from land-based missiles in North Korea. Similarly, the current THAAD anti-missile system deployed by the U.S. in South Korea is focused on identifying missile threats from the North. As a result, a submarine missile from the North Korean navy could be launched behind radar and perhaps evade existing defense systems. "Up to now we've only had to worry about them coming from north to south or from west to east in the case of Japan and the United States," said Bermudez. "If they deploy a ballistic missile submarine with operational missiles, it can come from almost any direction around the peninsula." Experts say U.S. bases in the Western Pacific, including Guam, also are potentially at risk if North Korea deploys submarines with SLBM weapons. At this point, though, it's not believed that the North Korean submarines have a range to reach the United States mainland. 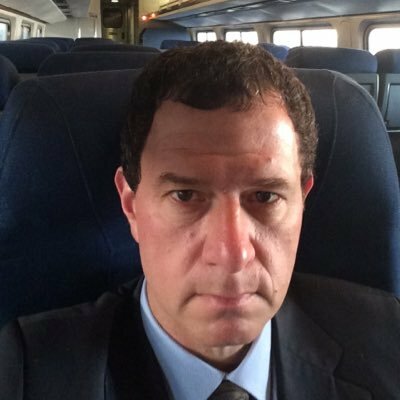 That said, if the North's submarines could reach closer to the U.S. West Coast they would not need an intercontinental ballistic missile to threaten major American cities, says Loren Thompson, a defense industry consultant and chief operating officer of the Lexington Institute, a Virginia-based public-policy think tank. "The biggest problem the U.S. faces in dealing with a North Korean nuclear launch is that you can't stop it if you don't know where it's coming from," Thompson said. "That is why the North Koreans are building mobile missile launchers on land and why they're trying to develop the ability to launch from under the seas." At the end of the day, Thompson said what the North Koreans want is something the United States has in its nuclear arsenal — "a survivable retaliatory capability. If it's at sea, they might be very well obtain it." But he said technological hurdles in developing a submarine with multiple ballistic missiles is rather challenging. That may be one reason North Korean hackers last year reportedly stole blueprints from Daewoo Shipbuilding, a large South Korean maker of submarines. 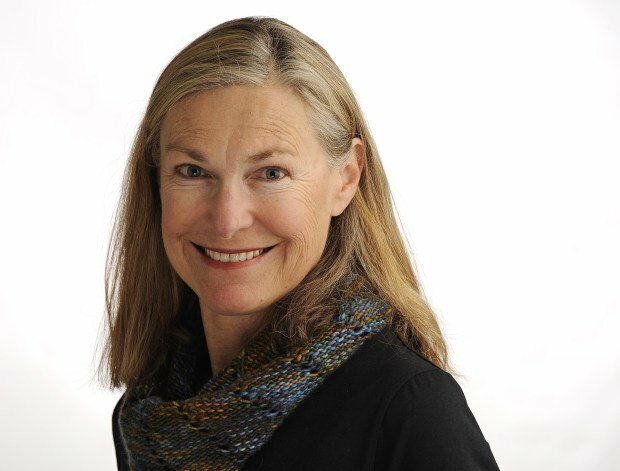 "You can't just launch the missile," Thompson said. "The exhaust will destroy the submarine. You have to push it into the air with gas, like compressed oxygen, and then ignite it once it's in the air. That is just more more complicated than launching from a land base." North Korea's largest submarines at present include the so-called Romeo-class submersibles that are based on an old design from the Soviet Union. The 1,800-ton vessels are considered relatively easy to detect using anti-submarine warfare technology available to the U.S. and its Asian allies. 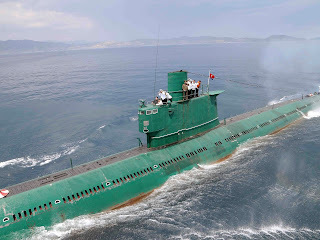 In fact, North Korean leader Kim Jong Un has been featured in state-run media taking tours and riding on board the green-painted Romeo-class submarines operated by the North's navy. Some estimates are the North has around 20 of the Romeo-class submarines. The North Koreans also are known to have some 50 smaller submarines that are harder to detect and can sink ships with torpedoes. One of those submarines was believed to be responsible for sinking the South Korean Cheonan navy ship in 2010, resulting in the deaths of 46 sailors.